Subject: I need your sincere collaboration. Hello, I am pleased to receive your response. 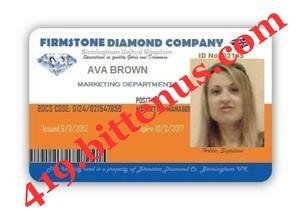 My name is Ava Brown, I live and work in United Kingdom and I am currently the marketing manager of a Diamond Company in Birmingham UK. It might be a surprised for you to receive this message, However It' s a matter of urgency that moved me to contact you and I hope to establish a trusted friendship with you. Actually, I am sending you this mail from Russia where I am currently attending a business program but I will soon return to United Kingdom. I contacted you because I need a foreign partner who can help me supply a product to my company in Birmingham UK. The product is called PEUDOLIN OIL and It is used for cleaning diamond stones (One bottle is 20cl and standard packing is 6 bottles in a carton). This product is scarce in the Europe market but my company always need it due to the product natural quality. My boss normally buy this product for EURO 3000 (Euro) per carton until it became scarce in Europe market. During my research, Someone gave me the contact of the store that have this product in stock and they are selling a carton for EURO 1500 only. I didn' t informed my boss that i have found the store that is selling this product at a cheaper price because I want to make profit in supplying this product to my company at the same price which my boss usually buy it in Europe. Actually, I need your collaboration so we can supply this product to my company and we will share the profits 50/50 equal. Presently, My boss wants to buy 800 cartons and I want you to handle this supply contract since I cannot sell this product directly to my company. Once I confirm your acceptance to handle this project, I will inform my boss that I have found a trusted person who can supply this product to them and I will send him your details to contact you. As soon as my boss contact you concerning this product, You will tell him that you are selling each carton for EURO 3000 Euro only. That means, He will transfer EURO 2.4 million (Euros) for you to supply 800 cartons to them. After you have received the payment from my company, You will keep our profit of EURO 1.2 Million Euro and use the remaining amount EURO 1.2 Million to buy 800 cartons from the store and supply it to my company in UK. You will supply it to my company for EURO 3000 per carton. Our profit in supplying 800 cartons will be EURO 1.2 Million Euro, Which YOU and ME will share 50/50 (Equal). This transaction is not risky and It doesn' t relate to any breach of law OK. After the supply is done, I will make a fast trip to your country so we can meet each other and share the profits as planned. Before we start this business, I will need your details e.g (Name, Nationality, Age, Occupation, Photo and Phone). I have attached my photos to prove my authenticity towards this proposal and I hope to hear from you soon.